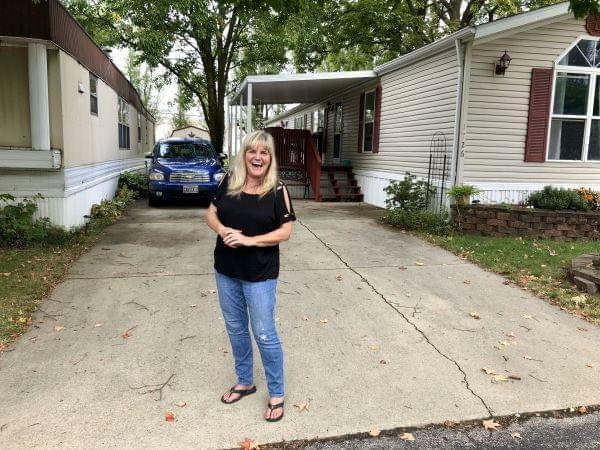 Terry Baker and other manufactured home owners around the state say they're worried about the rising cost of their lot rents after their communities were purchased by out-of-state investors. On The 21st: Social service agencies have had a difficult few years, especially after the state budget crisis. We speak with a couple of organizations about what they’re hoping to see from the Pritzker administration. Also, a small group of out-of-state companies have been buying up mobile home lots in Illinois, and raising the rents. Now communities are pushing for rent control. Plus, there will be only one total lunar eclipse this year, and it’s happening on Sunday. Over this week and next, we’ll be speaking with different groups to hear what they want out of the Pritzker administration. Today, we start with social service agencies. Many of them took a beating during former Governor Bruce Rauner’s term due to our state government being without a budget for more than two full years. Children’s Home and Aid works in 60 counties across Illinois, and last year they helped almost 40,000 children and families. Nancy Ronquillo is its President and CEO. Also joining us is Sara Howe. She’s CEO of the Illinois Behavioral Health Association which represents 60 providers across the state. They tell us what they are they hoping to see from our new governor during these next four years. "The past 4 years were demoralizing for our providers...destabilizing. We won't dig out overnight, but we're excited to work with the Pritzker administration." You can count on a few things, especially here in Illinois. Cold winters and the ever-increasing cost of living. That's especially true for rent, considering we’re not a rent-controlled state, but many community advocates have been trying to change that. However, you might not consider manufactured home owners. They're upset with the rising cost of the lots their homes are on, and they’re joining in on the fight for rent control. The owners of these lots, dubbed by some as “mobile home moguls,” are free to jack up the price of rent, according to their tenants. And it would cost them thousands to move to another park. Anna Casey has been reporting on this for Illinois Public Media, and she joins us on the show. Also joining us is is Doug Ryan, the Senior Director of Affordable Homeownership for the Washington D.C. non-profit, Prosperity Now. Did your rent go up this year? Illinois hasn't had rent control since a 1997 ban. And some of the people most affected are mobile homeowners. For the environmentally conscious homeowner, there are all kinds of ways to retrofit your living space. We’ve talked on the show about houses that keep heat inside and save electricity, and there are those who put solar panels on their house. But what about light pollution? Last month, we learned about the state’s first dark sky park, and we addressed an idea that’s central to folks who care about the night sky: that it’s a natural resource that should be preserved. And by the way - that natural resource will come in handy soon, because there’s going to be a lunar eclipse late this Sunday night. If you’re interested in doing your part to lessen light pollution in your home, Jon Hasselbring has some advice for you as we speak with him on the show. He’s an architect by training and now the director of planning and operations with the Champaign County Forest Preserve. We also speak with David Leake, astronomy and physics professor at Parkland College. He also directs the Starkel planetarium.